Have you been slacking on your dental care somewhat and desire a fresh new start? If so, then visiting your dentist for a routine check-up is a good place to begin. Your local dentist in Columbia is your main ally in the fight against harmful bacteria and plaque that cause destruction and decay. As you read on, the professional explains what to expect at your first visit. After you speak with the helpful staff at the front desk, the next person you will likely meet will be your dental hygienist. Your interaction will begin with him or her discussing your medical history with you and ensuring there aren’t any other things that both the hygienist and your dentist need to know to provide you with the safest and most effective care. This is also a great time to ask any questions you may have. The trained professional will be more than able to help you, or either refer some of the questions to the dentist. The next step is to have a thorough cleaning. The hygienist will clear away the harmful plaque and tartar that cling to the teeth and below the gumline and can lead to a host of problems. Following the cleaning, your teeth will be polished and left looking and feeling better. With your teeth nice and clean, you’ll be ready to be examined by your dentist. He or she will check for signs of decay, developing oral issues and even evidence of oral cancer. Additionally, your dentist will examine your jaw to make sure that it’s functioning properly. Bitewing – These are used to show the crown portion of the teeth and can show early signs of decay between them. Periapical – The periapical X-Ray shows the height of the teeth and root tips. Panoramic – This form of X-Ray is taken from outside your mouth and produces the most comprehensive image. As the root ‘pan’ suggests, it shows the entire oral cavity in one large picture. 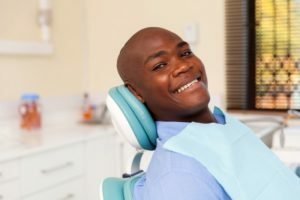 You should be diligent about visiting your dentist every six months for these appointments to ensure that your mouth, teeth and gums are as healthy as they can be. Your proactive efforts will provide you with a level of protection that will preserve the beautiful and healthy smiles of you and your family for years to come. To schedule a first visit, reach out to your children’s dentist in Columbia today! Dr. Philip Batson earned his dental degree from the University of Missouri-Kansas City School of Dentistry and is just as passionate about helping patients as he was when he first graduated. He treats patients of all ages at Healthy Smiles of Columbia and provides them with the means to take a proactive part in maintaining their oral health. Dr. Batson can be reached for more information through his website.